Discover more about familiar European gods and goddesses such as Athena, Aphrodite, Artemis, Apollo, Pan, Mercury, and Odin, along with lesser-known yet potent ones such as: Hygeia, Freyja, Hathor, Isis, Osiris, young Dionysus, Mithras and the great mother Cybele. Experience for yourself methods that will help create a deeper, more intimate understanding of their healing powers. Through art history, be fascinated to learn the hidden symbolism of gods and goddesses. A meditation text similar in structure to a sadhana (though with short latin and greek mantras) will be given for the Roman god Mithras, an archetype (meaning pure form) of victory and friendship; and also the Greek god Pan, an archetype of joy and nature: mountain wilds, fields, groves and wooded glens. All will be explained thoroughly, so there will be no problem in understanding for people new to this practice. Beginners to advanced meditators welcomed. There will be plenty of time between class times to practice or to let your mind and body rest. 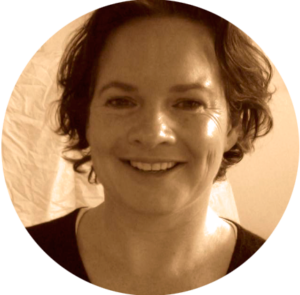 Mira Riddiford is a meditation and mindfulness teacher who runs retreats and series in New Zealand. Her online classes have participants joining from North America, Europe, and Asia. With more than 20 years of daily practice, Mira has been trained through retreat work, study and apprenticeship in the Namgyal Rinpoche stream of teachings. She has a close ongoing relationship/association with the Wangapeka Study and Retreat Centre and the Auckland Sphere Group. These figures include food and resources. They don’t include any dana/donation to Mira for the teachings she will impart or accommodation at Origins which is also by donation. So people from different income brackets can benefit from this retreat, no set fee is put on the teachings. Please give generously according to your means, taking into account Mira has a family to provide for and that meditation teachings are her primary income, you could use as a guide $20 – $60 per day (with the understanding that everyone’s circumstances are different). Please bring cash to pay for the Dana. The Origins Centre operates on a philosophy of mutual respect, support, and goodwill, known as dana. Dana is the spirit of generosity and can be expressed in many ways. The Centre functions successfully through freely given donations of money, in-kind contributions and gifts of service. To secure your booking you can pay by Eventbrite (added fees, but tremendously convenient for credit card users). Or internet banking details are on the registration form (Australian banking details to be confirmed shortly, please email Louise to enquire: louisemair@hotmail.co.uk). Want to help out? Please share this email with friends who may be interested in Australia, NZ, Canada or anywhere really! Download the poster to print out and put up at neighbourhood noticeboards. Here is a jpg image of the poster for sharing on social media like Facebook. After a successful Garden of Mindfulness, we will be having another after Christmas this year, dates to be confirmed (GOM has been running annually since 1994/95 – started by Tarchin Hearn, Mira has been teaching the last 4).